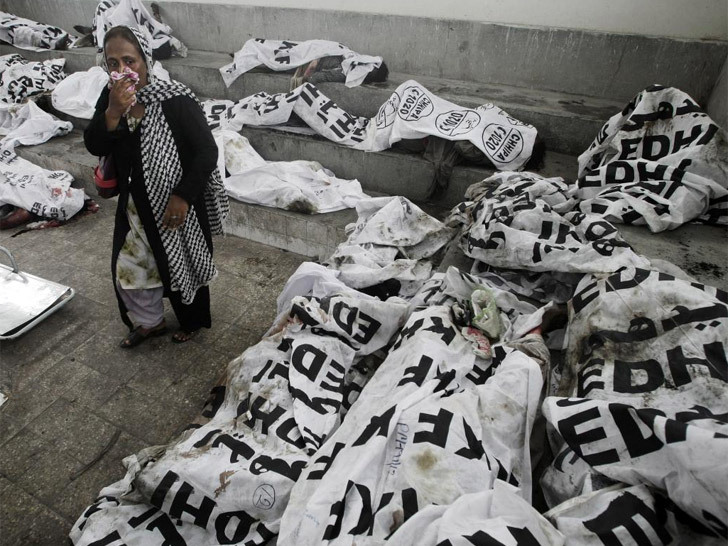 Occurring just hours after a shoe factory in the eastern city of Lahore claimed 25 lives, the incident renews questions about the lax regulation in Pakistan’s manufacturing industry and the textiles sector in particular. 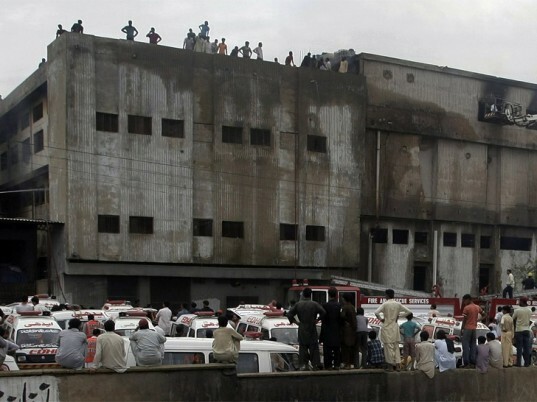 Karachi, a city of 20 million, houses more than 12,000 factories, many with lackadaisical safety standards. Buildings regularly lack fire alarms or sprinklers, exits are frequently blocked, and thousands of industrial workers who are employed as casual labor are not insured for accidents. The incident renews questions about the lack of regulation in Pakistan’s manufacturing industry. The fire began when flames from a boiler explosion ignited chemicals and stacks of cloth that were stored in the factory, which manufactured ready-to-wear clothing for Western export. Workers threw sewing machines at the windows, according to one eyewitness, while others, in desperation, leaped from the top floors of the four-story building, suffering broken bones or worse. Most of the victims suffocated from the smoke, said rescue workers, who found dozens of bodies, charred beyond recognition, heaped together on the lower floors. A dead body was seen stuck to the window, “as if the victim had been trying to jump from the second floor, but just didn’t make it in time,” said an Agence France-Presse photographer. Asif Ali Zardari, the president of Pakistan, has ordered an investigation into the incident, and the owners of Ali Enterprises, which ran the facility, have been barred from leaving the country. The owners haven’t been seen since the fire occurred.